This one-day Introduction to Facilities Management is tailored for new operational FMs, or those with property management responsibilities, to provide a practical and useful overview of the FM industry, looking at all aspects of the role, from the coal face to management. This course is an ideal primer covering all of the basics in just one day and is ideal for FM service providers and client teams, in the UK and internationally. The course defines the essence of Facilities Management, its place within an organisation, and how it can assist and improve the core functions of a business. Understand how FM impacts all other functions of the organisation. The one day Facilities management legal update is our flag ship FM session and is held twice a year at our Executive centre in London. The one day seminar covers all of the recent legal changes that affect the FM sector in: human resources, FM, health and safety and environmental sustainability. 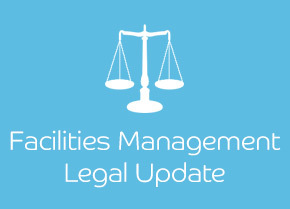 For more information on this one day update, visit the Facilities management legal update course page.